The expansion of current Airline fleets means a need for new Pilots. With major Airlines investing in new aircraft and offering more flights from wider additional locations, Pilots will be needed continually. New FAA regulations have placed a mandatory retirement age of 65 for all Airline Pilots. 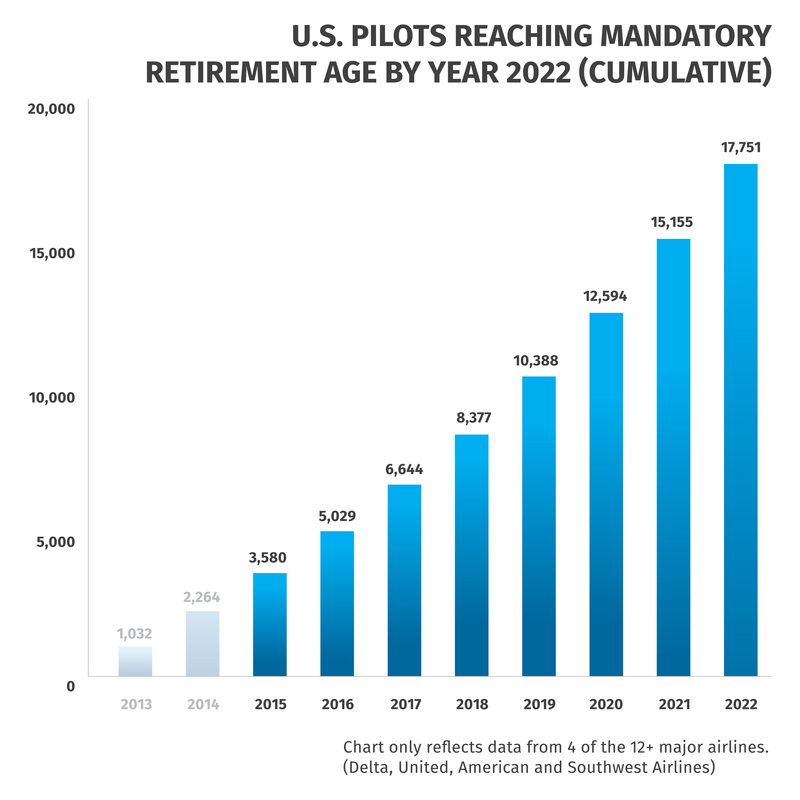 Major Airlines are facing a staggering 45,000 mandatory Pilot retirements over the next 20 years due to this rule. With over half of the current Pilot population over the age of 50, new Pilots will be needed to fill this void. The 1500 rule was issued by the FAA to raise the flight hour requirement from 250 hours to 1500 hours for first officers for any U.S. air carrier. This has stained the industry’s pilot supply as new pilots are mandated to build hours outside of the airlines until they reach 1500 hours.